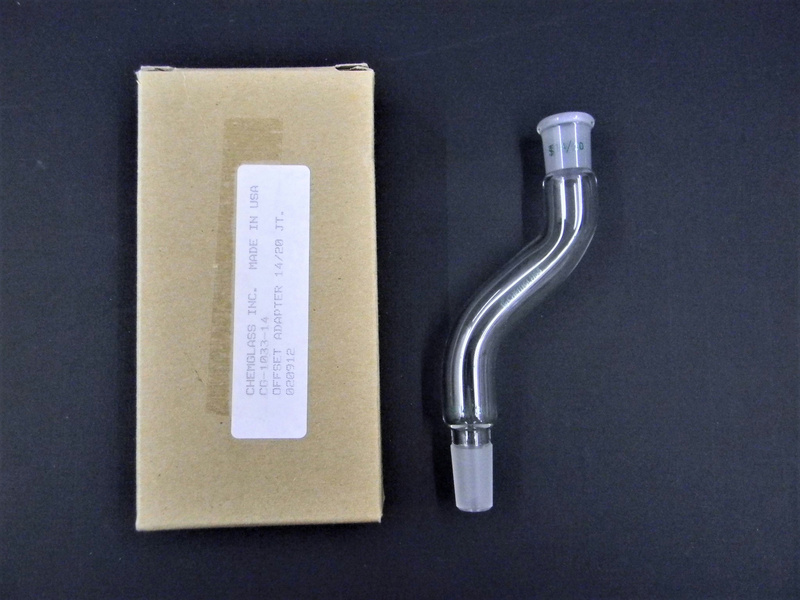 Chemglass CG-1033-14 Offset Adapter Distillation 14/20 Joint (2) Lab Glassware . New Life Scientific, Inc. This is a new adapter that was originally acquired from a US pharmaceuticals lab. There are no visible cracks or chips to the glassware that would hinder its efficacy. Retail Price $25.35 each --- Buy now and save. Description: With top outer and lower inner standard taper joints 14/20. Offset is center to center of the joints.